This Laboratory well equipped with necessary instruments required for conducting various experiments. The lab is also supported by consultancy services. Well trained instructors as well as Assistant Professors taking care of academic programs concerned to the Bionano technology. WCRNB has a separate three storied building of 17,500 sq. ft in the present sprawling campus of Walchand College of Arts and Science,Solapur. 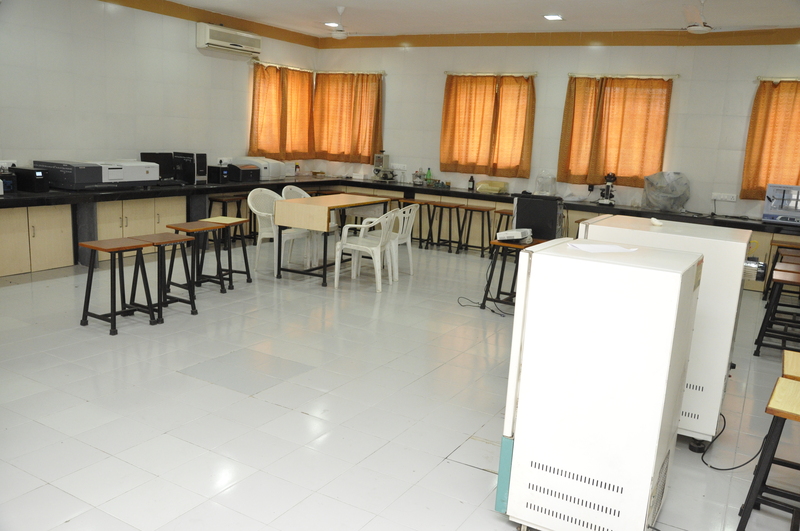 Common Facility Center is available to use by all the departments having well equipped instruments like UV-Vis-NIR Spec, FT-IR Spec, Cooling Centrifuge, Deep Freezer, Incubator-Shaker, Inverted Microscope and few others. The bio-nanotechnology wing of our institute has all the necessary facilities for research projects comprising not just core nano-material synthesis but a step further like using biological sources and analysis of sample. The nanotechnology wing is where all the carbon related projects are undertaken. Instruments like spray pyrolysis, CVD, wtc.